All universities in New Zealand provide an internationally recognized education, with strict quality controls over teaching at the colleges. The cost of studying in New Zealand is also much more reasonable than other destinations and you can expect to find a high standard of living here. The list of best universities below are well known for the reputation in Physical Sciences, Environmental Sciences, Medicine, Engineering, Law, Veterinary Science and Agriculture. The University of Auckland was established in 1883. The University of Auckland is New Zealand’s top and largest university. The University of Auckland is very fortunate to have outstanding staff, students and facilities. The University of Otago was established in 1869. Otago has almost 23,000 students enrolled and has a presence in each of the four main cities of New Zealand – Auckland, Wellington, Christchurch and Dunedin. The Massey University was established in 1927. It is one of New Zealand’s largest universities with approximately 37,000 students. The University has campuses in Palmerston North (sites at Turitea and Hokowhitu), Wellington (in the suburb of Mount Cook) and Auckland (at Albany). In addition, Massey offers most of its degrees extramurally within New Zealand and internationally. It has the nation’s largest business college. The University of Waikato was established in 1964. It is located in Hamilton is spread over 0.67 square kilometres (170 acres) of landscaped . 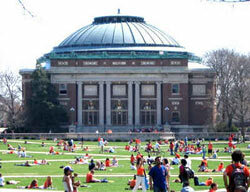 The university has more than 14,000 students were enrolled at the university. More than a quarter of students were aged over 25, and over half were women. The University of Canterbury was established in 1873. The University of Canterbury is located in Christchurch, the largest city in New Zealand’s South Island. The university offer Inspirational teaching , World-class research , Vibrant campus environment , Great student lifestyle with students from around the world., Today, The University of Canterbury has over 23,000 students out of which 2,500 international students. Auckland University of Technology was established in 1895. The university has 3 campuses in Auckland, Manukau and North Shore cities. The university has more than 25,000 students. The Victoria University of Wellington was established in 1897. The university situated in the capital city across four campuses, Victoria. Today, the university has over 22,000 students out of which 3000 were international students. It has more than 2,000 full-time equivalent staff. The Lincoln University was established in 1878. It is located in Lincoln, New Zealand. Lincoln is New Zealand’s third oldest university. It is New Zealand’s specialist land-based university. As a publicly owned and operated university that exists and operates under New Zealand statute.